Taste test: This generally brownish bar had some white stripes across the top. 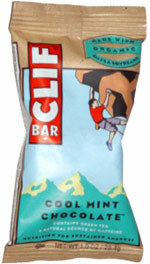 It was smaller than just about every other energy bar out there, less gritty than other Clif bars, and tasted pretty good. 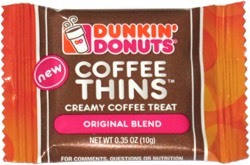 It wasn't super-chocolatey or super-minty, but it had enough of each to be an above-average tasting energy bar. Smell test: Pretty good mint smell, slightly chocolatey.